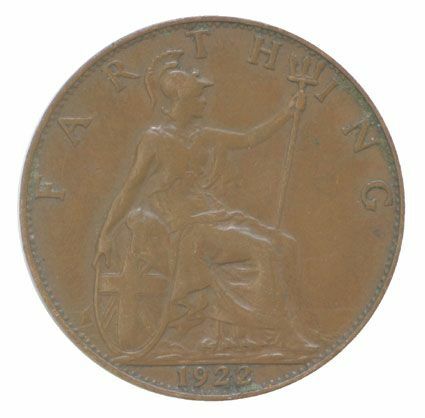 George V reigned from 1910 - 1936, during this time as King, Great Britain entered the first World War I. He was the first Monarch of the house of Windsor which he re-named in 1917 due to the anti-German sentiment. 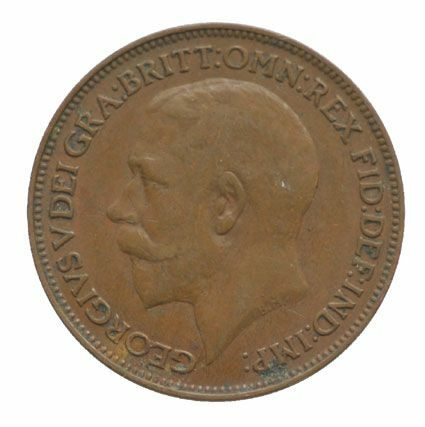 Obverse show the Bare head of George V with the following legend - GEORGIUS V DEI GRA: BRITT: OMN: REX FID: DEF: IND: IMP which translates to George V by the Grace of God, King of all the Britains, Defender of the Faith, Emperor of India and reverse of the seated Britannia.